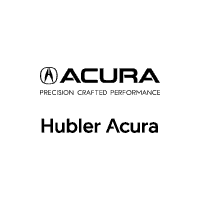 Hubler Acura has some of the best selection of Acura vehicles you’ll find anywhere in the area. Our inventory of new cars stands at more than 100, including local favorites like the MDX, RDX, and TLX. Not only that, we also have more than six dozen pre-owned Acura cars and SUVs to choose from, not to mention all the hundreds of used cars offered by our fellow Hubler dealerships. If we don’t have the exact vehicle you’re looking for, we can find it for you thanks to CarFinder. CarFinder is a free and confidential tool that lets you tell us what you’re looking for so we can do all the hard work of searching for your dream car for you. Once we get results, we’ll send you the pictures to prove it. At Hubler Acura, we want our customers to have as much information as possible. We know our products and customer service are top-notch, and we know car buyers always appreciate honesty and straightforwardness. That’s why you’ll find FAQs on our site that explain how and why to trade in your old vehicle, what your options are for parts, how auto loans work, and more. You can also trust that our sales staff is even more helpful in person. Hubler is the biggest name in the Indianapolis auto dealership world for a good reason. It’s because the Hubler family knows they should treat their customers like their extended family, and no Indiana dealership group knows family better than the Hubler Automotive Group.